We're so used to seeing military power used to devastating and lethal effect, the first thought here is that we're seeing children fleeing American forces in combat. But the devastating aftermath of Hurricane Matthew provides a rare reminder that the US military can also be put to use in humanitarian operations. 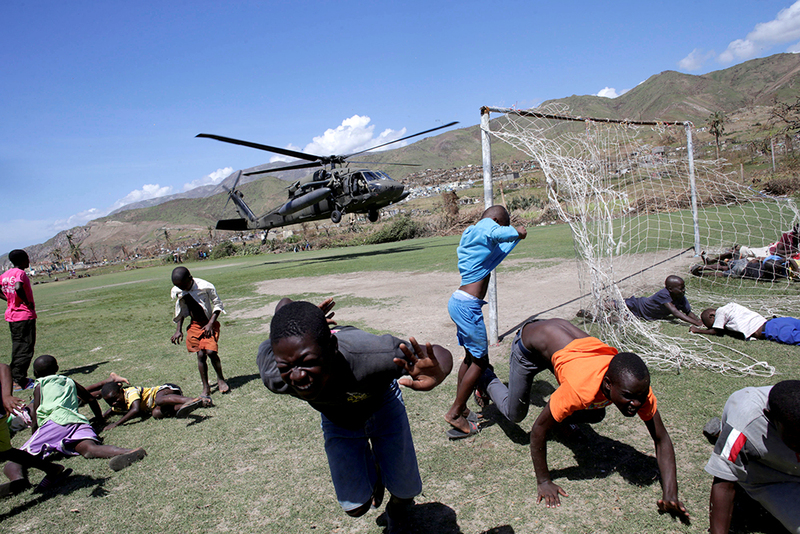 In this photo, the helicopter is taking off after depositing its cargo of food and supplies in the coastal town of Les Anglais, Haiti, and the children are taking cover from the blowback of the copter's blades — an effect known as rotor wash, which, in a dark irony, can produce winds of hurricane strength. 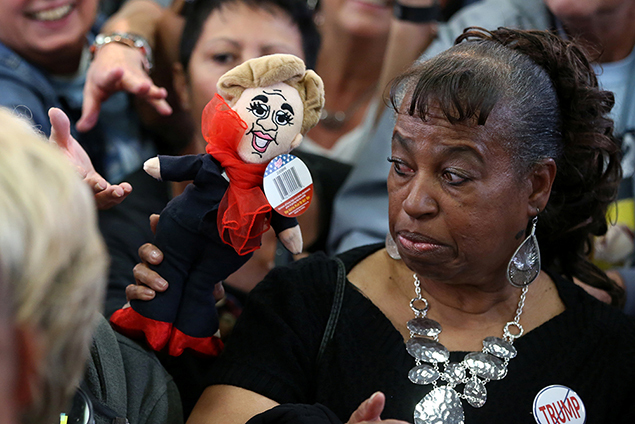 This Hillary doll is a bit terrifying, but I love this picture nonetheless, and not just because this Clinton supporter's earrings and necklace are on point. Clinton is going to win this election because women, especially black women, take voting very seriously and turn out in larger numbers than their male counterparts. There's a lot of chatter about how demoralizing this election is, but when I think about the crowds of women that will give us the first female president, I tell you, my heart soars. 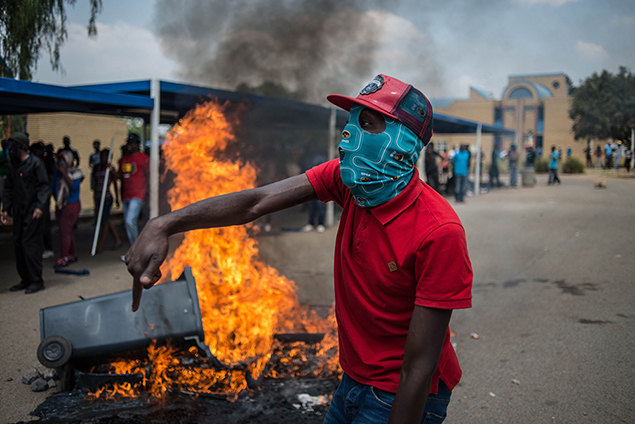 South African students have been flooding the streets for weeks in heated demonstrations against austerity. The growing protests, known as the Fees Must Fall movement, are pushing back against the government's attempts to raise tuition fees. Like students in the U.S., tens of thousands of students across South Africa have crippling student debts. The Fees Must Fall movement is demanding that higher education return to its place as a public good available to all. "The issue of free education is not a student issue, it's a national issue," an activist told CNN. "Because we are expected to get this education and help provide bread and other necessities, people need to understand is that when someone gets financially excluded, it is not just the individual being excluded but it's the entire family, the black community." 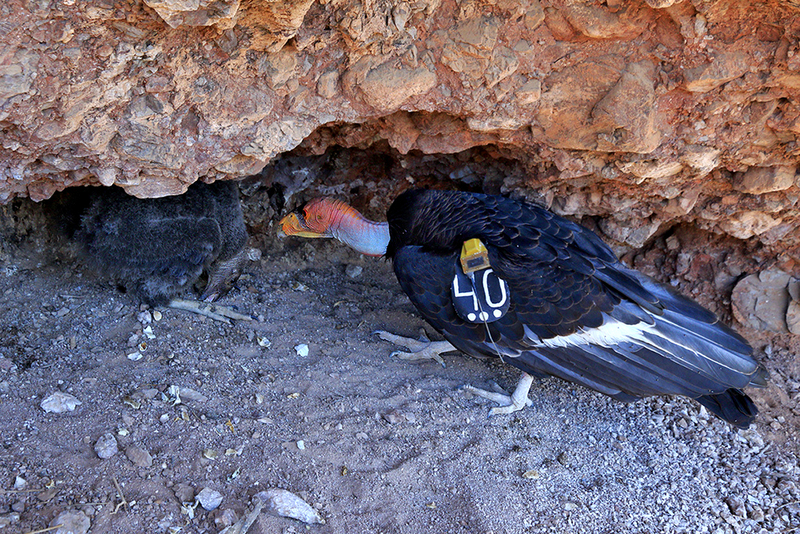 While California is deep in a drought, and at the tail end of a brutal wildfire season, the state's tradition of environmentalism is also bearing fruit. Here, at Pinnacles National Park, near Paicines, CA, is the first California Condor chick (shown here with her father) to fly out of its nest since the 1890s.